Here’s the second of many posts to come, on places I visited, and hope others will too, in Kiev. 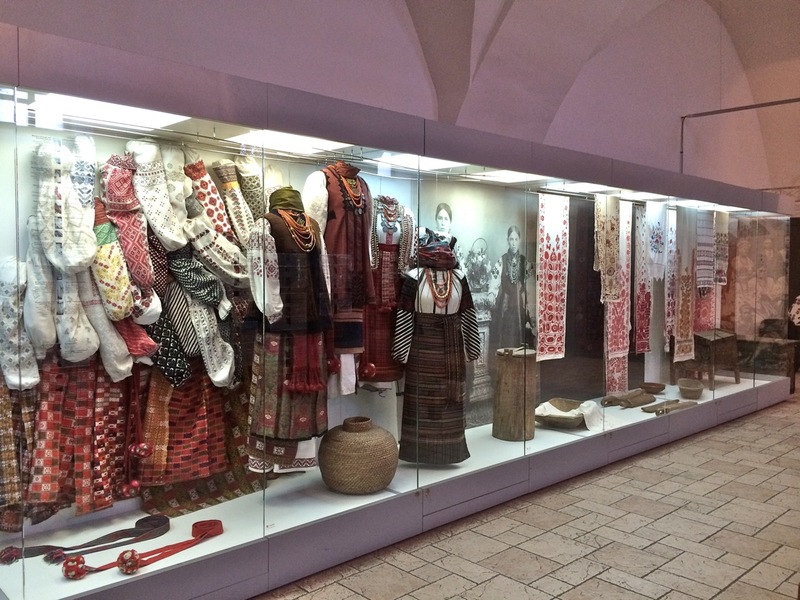 I first found out about the Ivan Gonchar Museum (aka Ukrainian Centre of Folk Culture) on the Folk Costume of Polissya website, which features traditional ensembles from various parts of Ukraine, nearly all of which are from the museum. So, naturally, it was top of my sightseeing list. 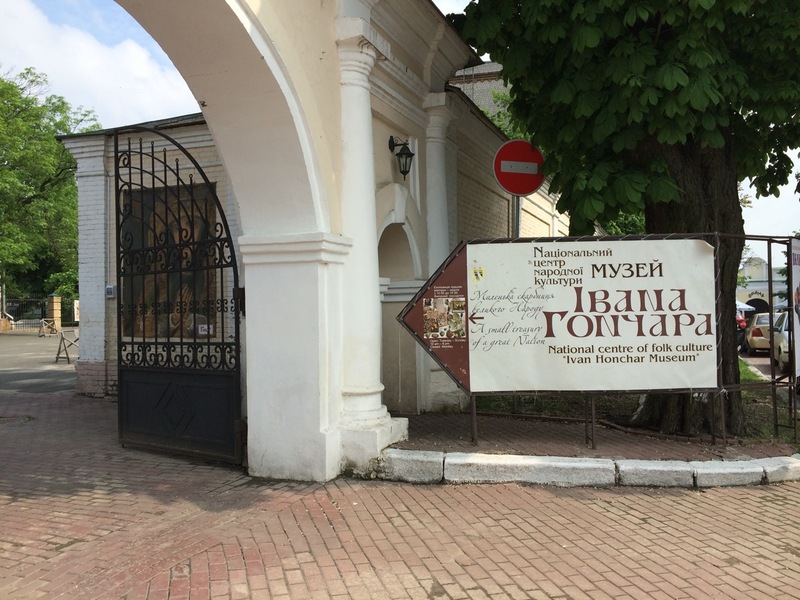 The museum is situated in the eastern part of the city, next door to the famous Pecharsk Lavra monastery site and close to the banks of the Dnieper river. 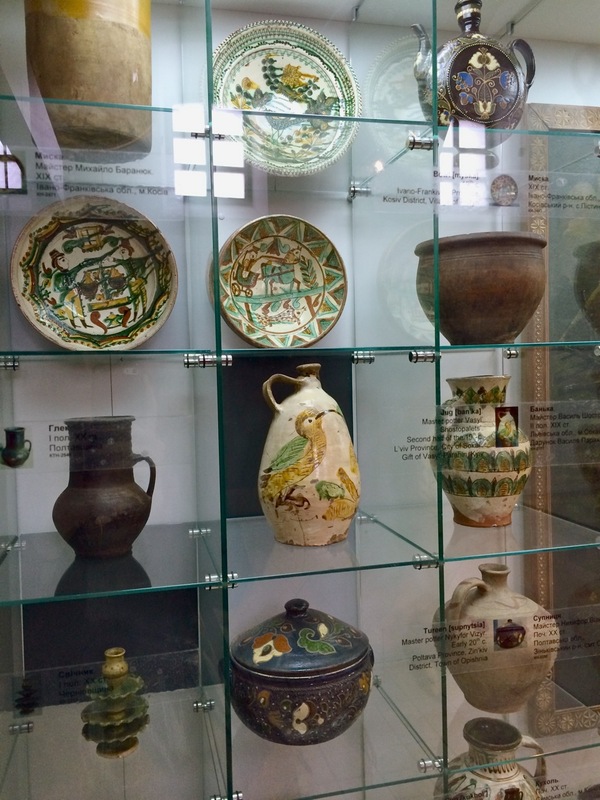 Although small, it houses a varied collection of Ukrainian handicrafts, including pottery, clothing, woven fabrics, paintings, photographs and painted eggs, all informatively labelled in Ukrainian and, helpfully, English. 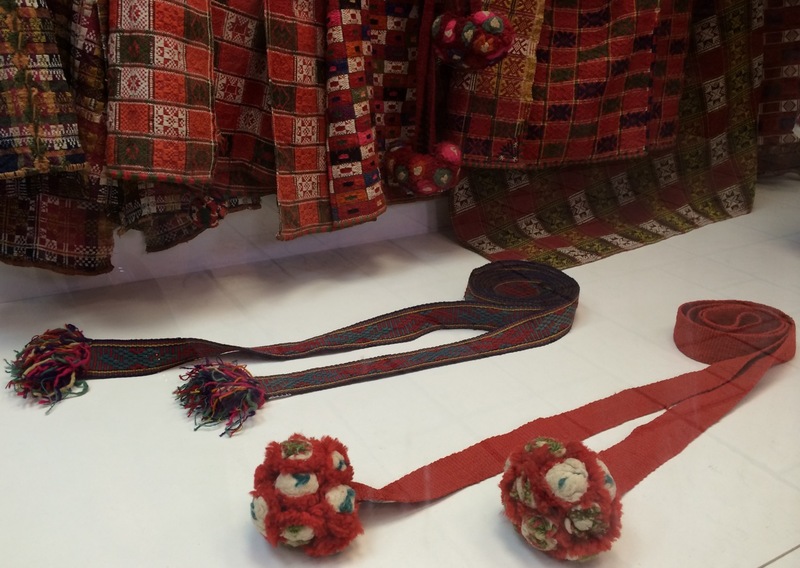 The focus of the collection is to represent items from across the regions Ukraine, rather than give a historical survey. The majority of objects are no older than the nineteenth century, but show the range of styles, colours and patterns traditionally favoured by different regions. 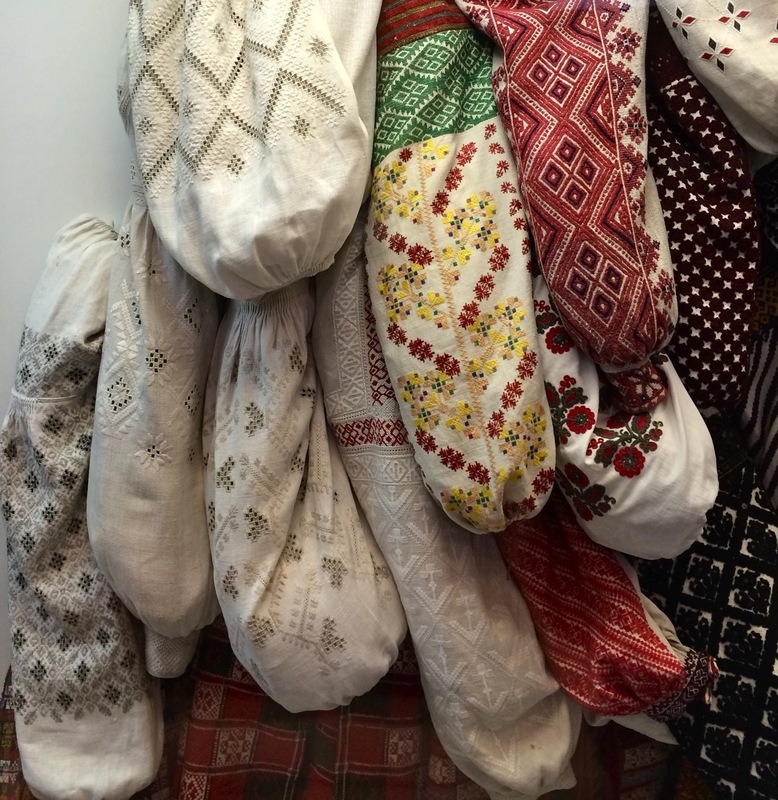 Detail of embroidered sleeves of women’s full-length shirts (sorochka dodil-na), from various provinces. Early 20th century, homespun embroidery thread on homespun hemp or linen cloth. 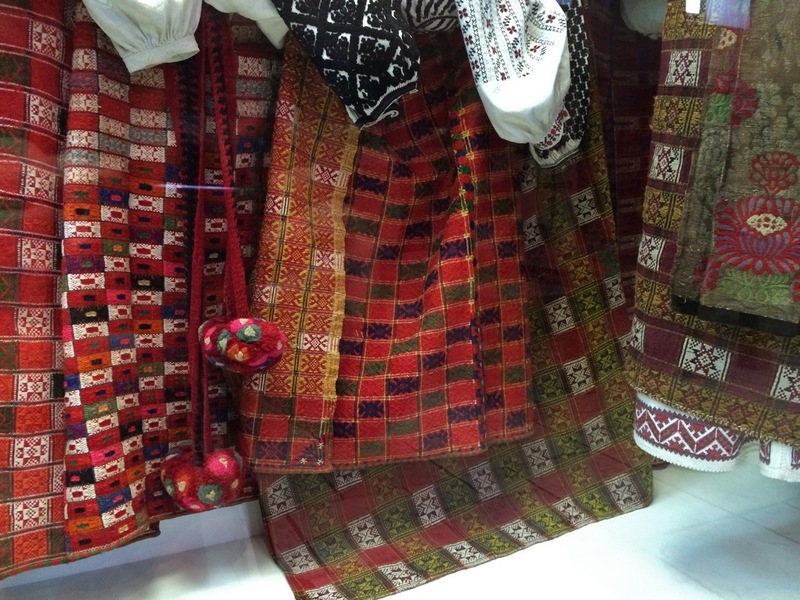 Women’s woven sashes (kraika), Poltava province. 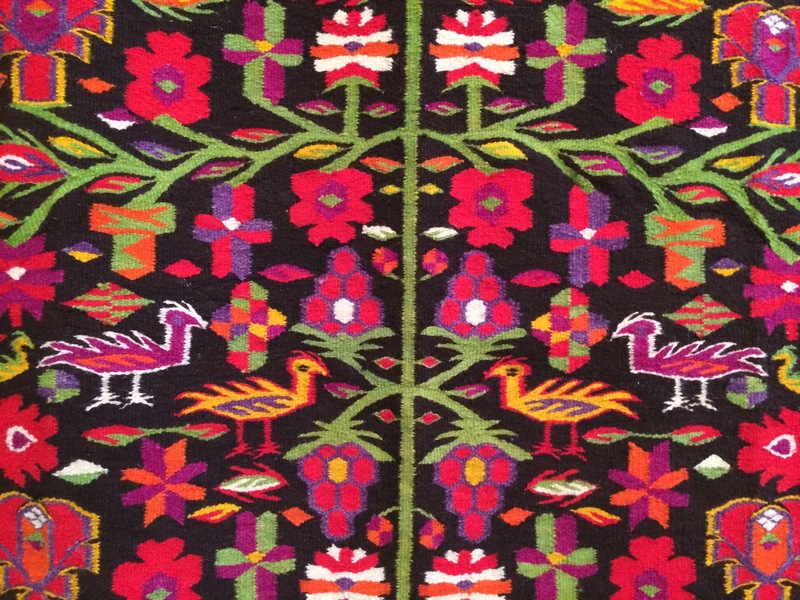 First half of 20th century, wool. 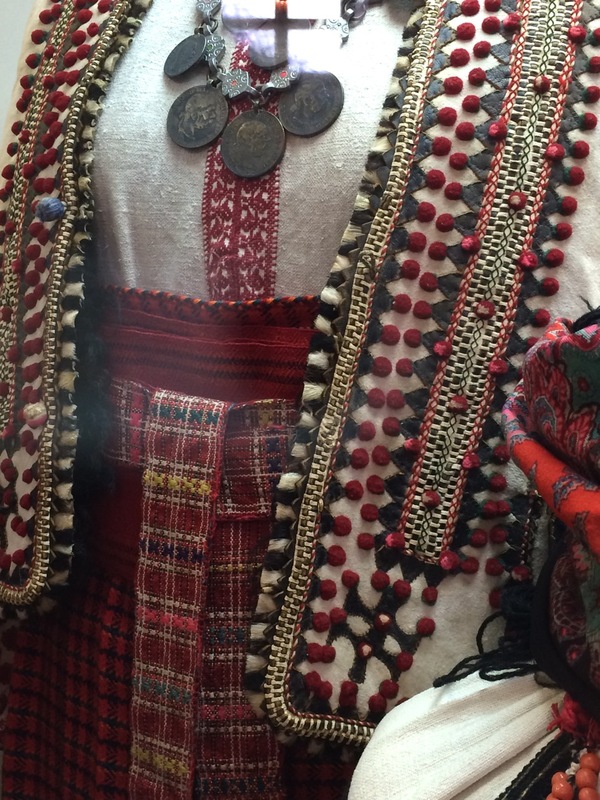 Woman’s costume, Ivano-Frankivs’k Province. Late 19th – early 20th century. 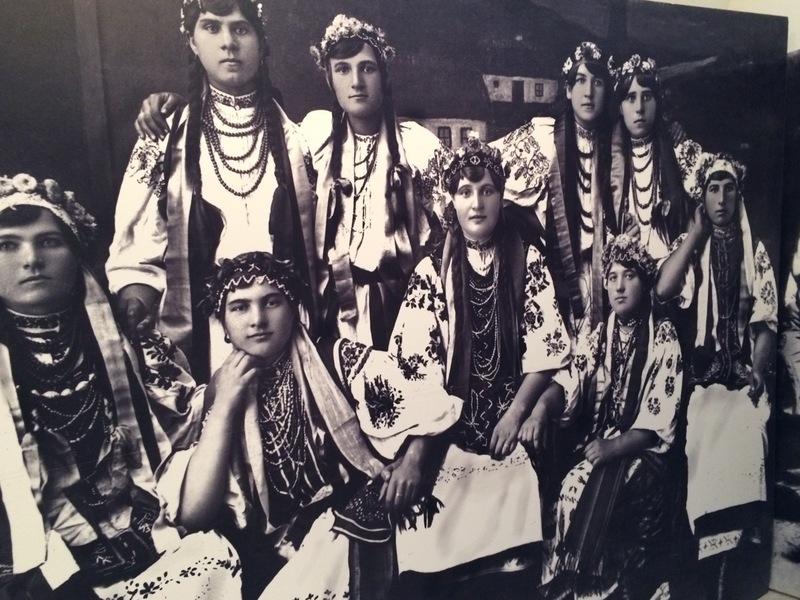 I was, of course, particularly drawn to the costume display, with its exquisitely embroidered linen or hemp full length shirts, worn under multi-coloured hand-woven woolen wrap-skirts tied with sashes. The amount of time that must have been spent making these outfits and all their constituent parts is staggering, and demonstrates the importance and pride placed in their making and wearing. 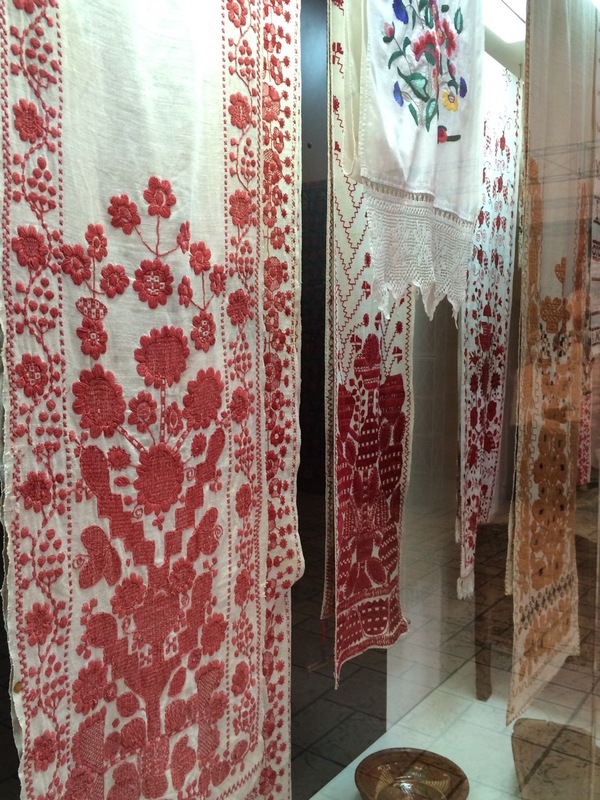 The museum also has a display of ‘rushnyk‘ – long strips of cloth traditionally embroidered or woven with symbolic patterns and/or imagery. They still play a part in modern Ukrainian wedding ceremonies, being used to literally tie the bride and groom together at the wrists. 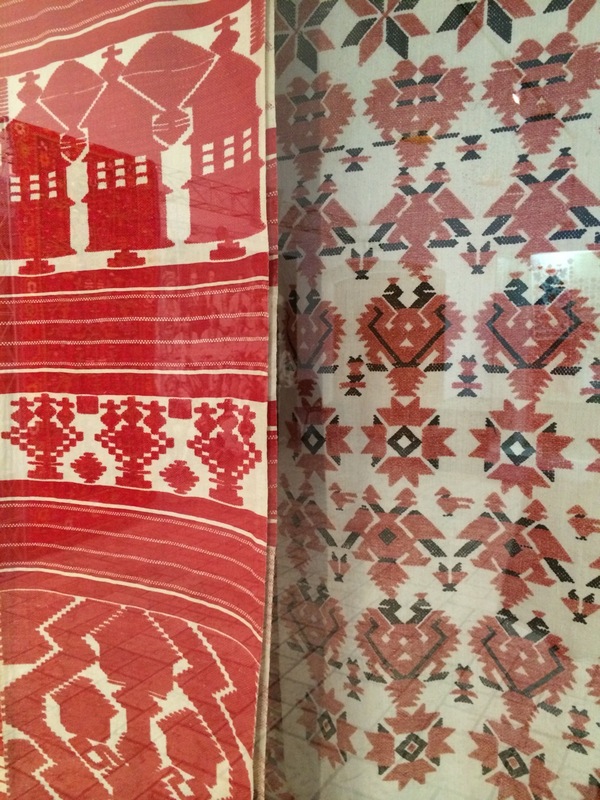 Embroidered ritual cloths (rushnyk), 18th – 20th century. Homespun linen or hemp cloth embroidered with wool or cotton thread. 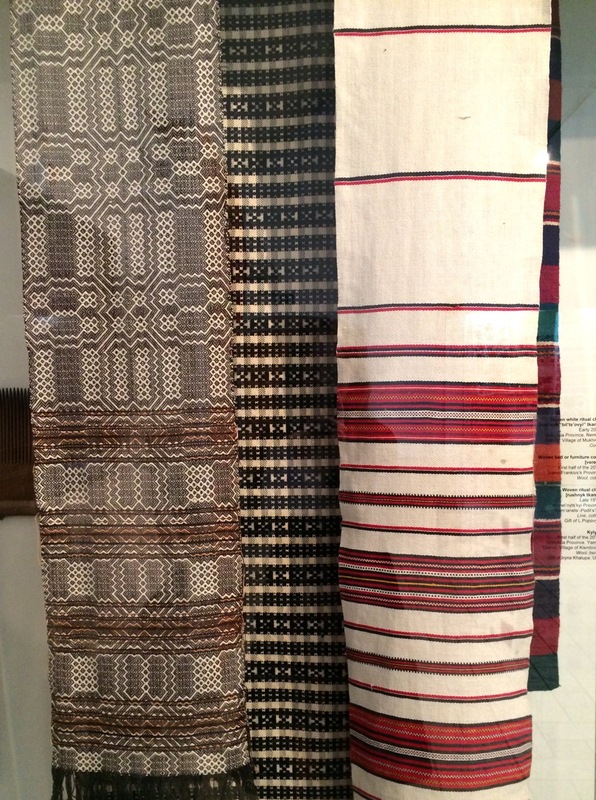 Woven cloth, late 19th to early 20th century. Linen, hemp, cotton and/or wool. 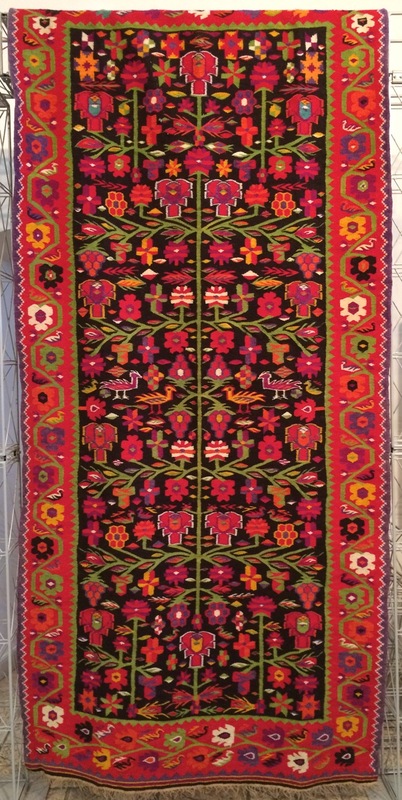 Woven Krolevets’ ritual cloth (rushnyk “krolevets’kyi”), early 20th century. Cotton. 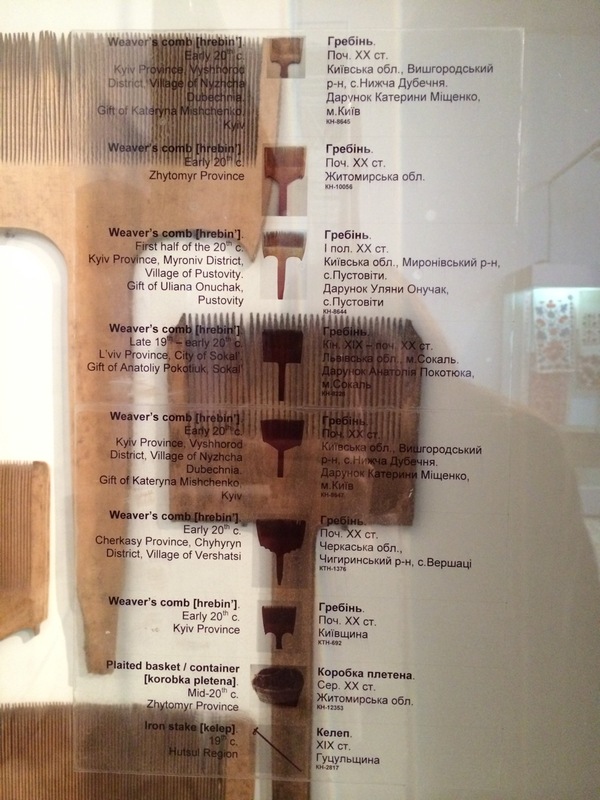 I loved seeing some of the tools of textile-making on display too – these giant wooden prongs are the combs used by weavers to separate threads. 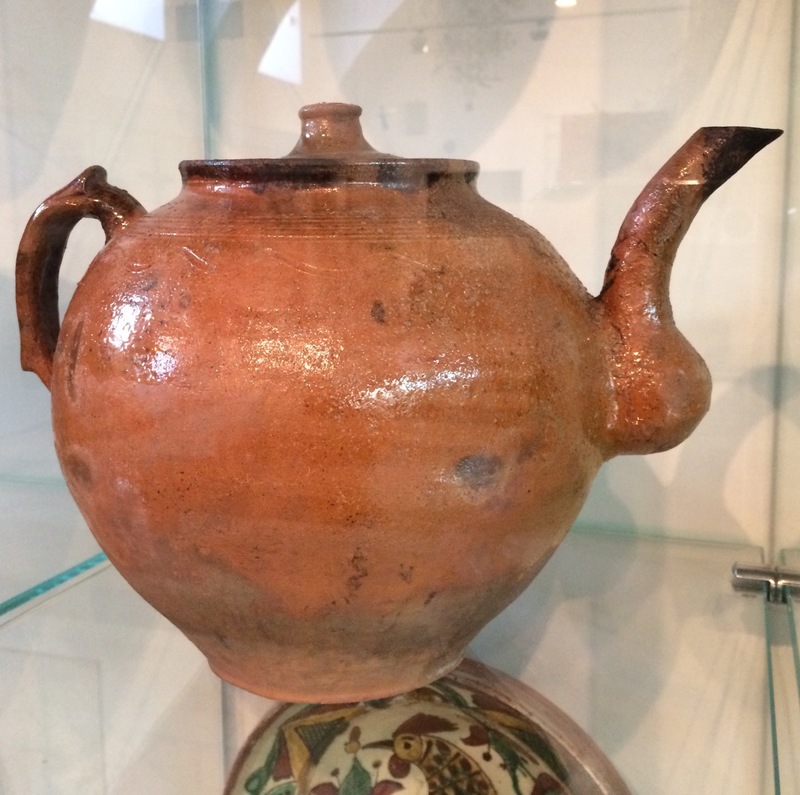 Admittedly, my interest waned after passing the textiles section, so apologies for the under-representation of the beautiful ceramics and paintings also on display..
Teapot (chainik), 1930s. Cherihiv Province, Korop District, Village of Verba. 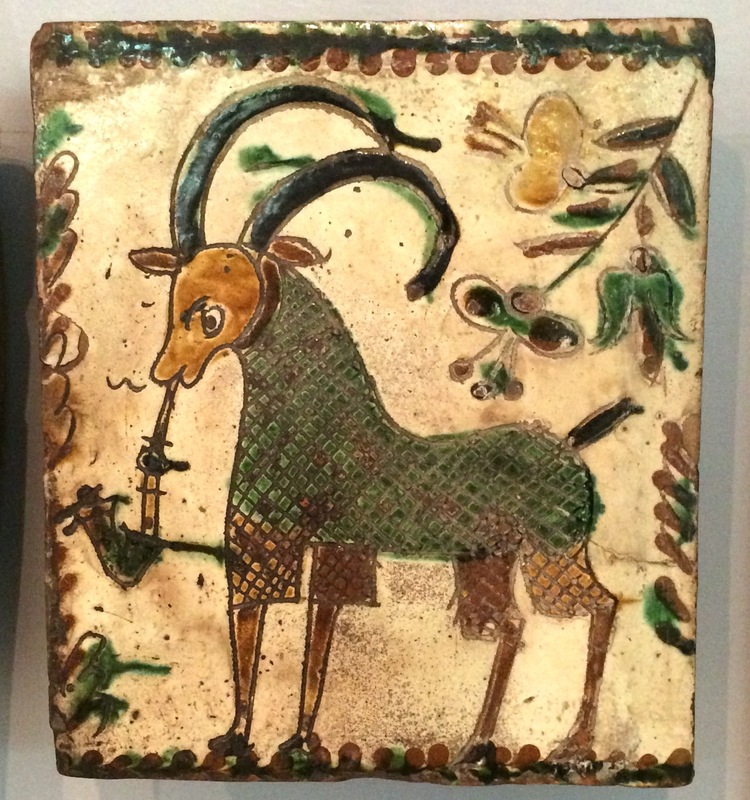 Oven tile (kahlia pichna), mid 19th century. Ivano-Frankivs’k Province, City of Kosiv. 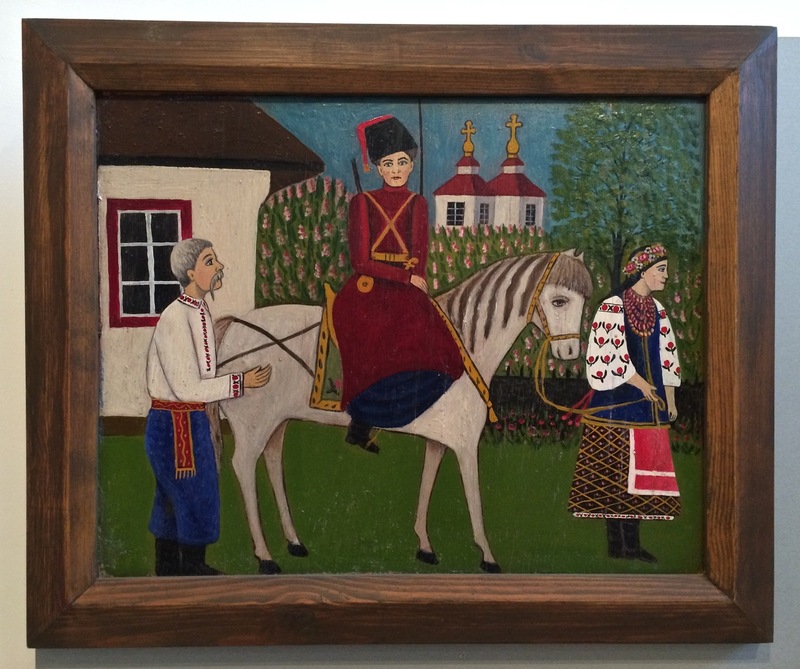 Folk Painting ‘Stepan and Yaryna’, by Yakylyna Yarmolenko(?). Mid-2oth century, Kyiv Province, Pereyaslav-Khmel’nyts’kyi District, Village of Stovp’iahy. Oil on panel. The Ivan Gonchar Museum is open Tuesday – Sunday, 10 – 17:30. Address: 19 Lavrska Street, Kyiv. Thanks for making the link between the painting and song – each makes the other more beautiful. 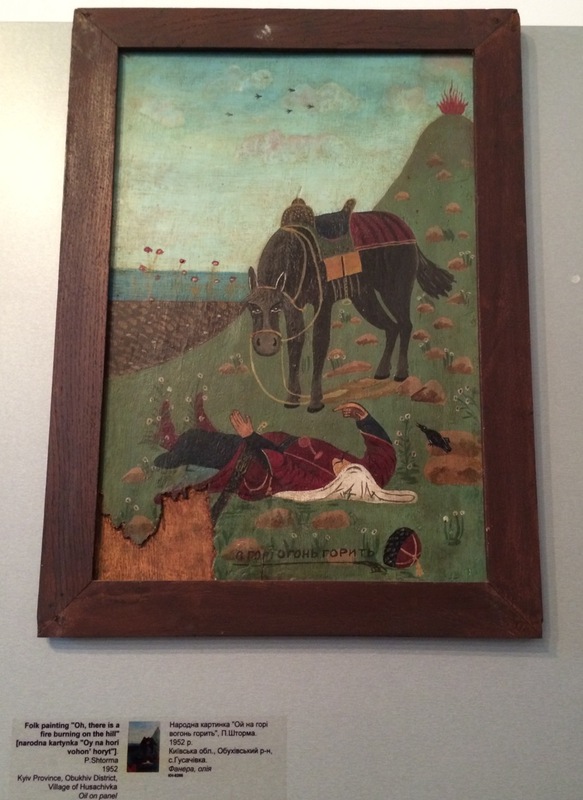 Could you tell me the story behind it?